Posted July 23, 2013 by Josette Farrell in News. 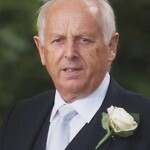 The death has occurred of Martin (Mattie) Grealish, Carnmore Rd, Oranmore, Galway. 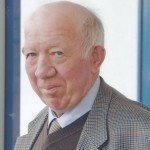 Grealish Martin (Mattie), Carnmore Rd., Oranmore, Co. Galway, July 22nd 2013 (peacefully), predeceased by his wife Bridie. Sadly missed by his children; Sheila, J.J., Martin, Gerry, Kevin and Maggie, his brother Stephen, sons in law, daughters in law, grand-children, great granddaughter, sisters in law, nephews, nieces, relatives, neighbours and friends. Reposing at Claregalway Mortuary Chapel, this Tuesday evening, from 7pm. Removal at 9pm to Claregalway Church. Funeral Mass at 2pm on Wednesday, followed by burial in Claregalway Cemetery.